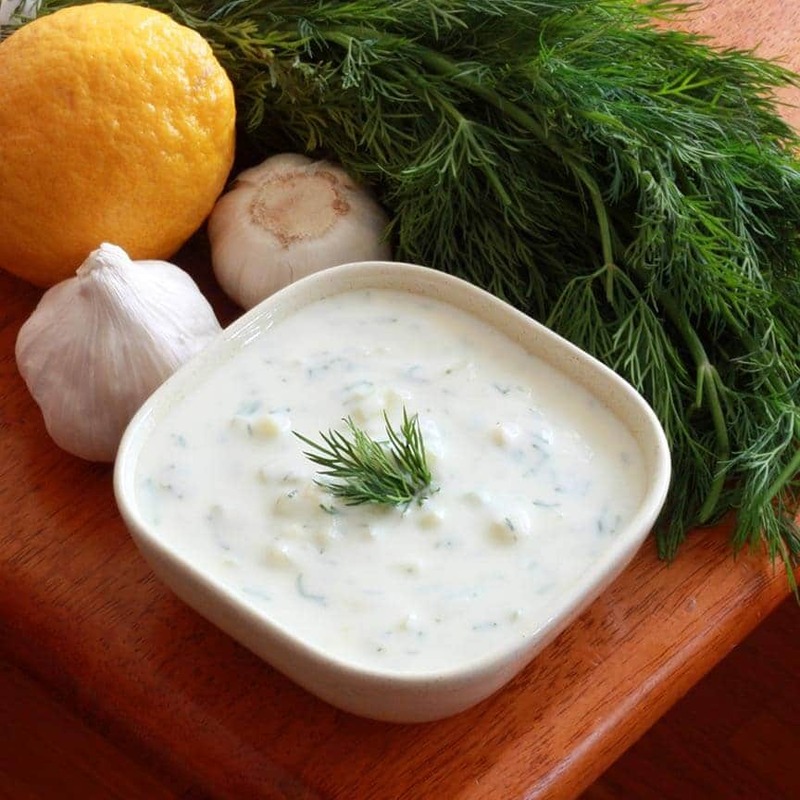 Delicious homemade Greek Tzatziki Sauce. Easy to make and thoroughly delicious. Serve with Greek Gyros, as a dip or salad dressing, with felafels, sandwich wraps, baked potatoes, with grilled meat or fish, or added to mashed potatoes. More yummylicious Greek recipes coming up – stay tuned! P.S. 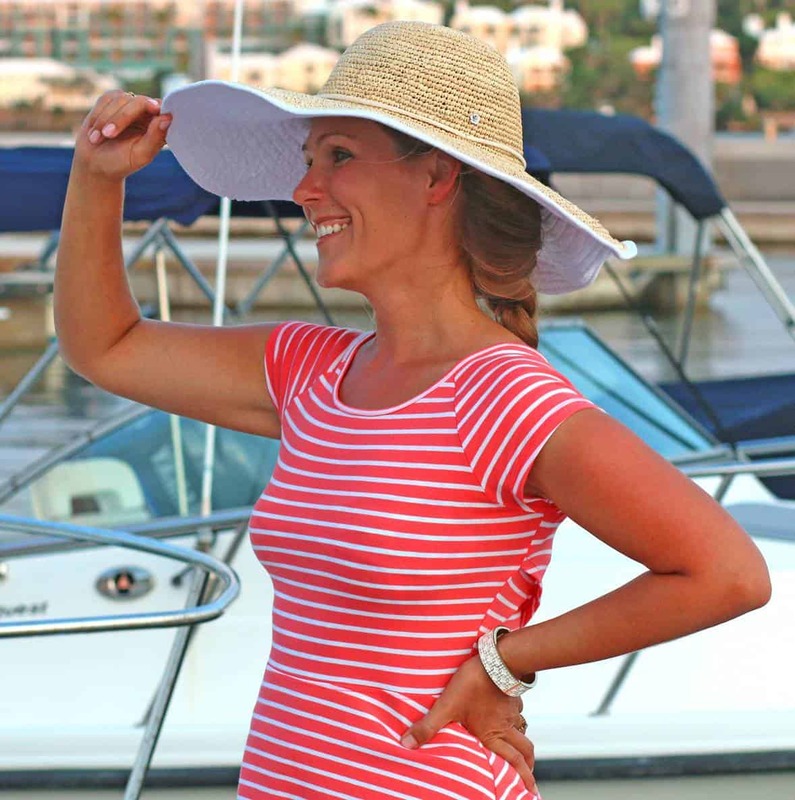 Be sure to connect with me on Facebook to join in on all the foodie fun and to get word of the latest recipes! 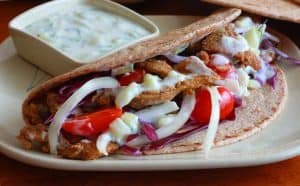 Try this tzatiki sauce on these thoroughly delicious Greek Gyros that you are guaranteed to love! 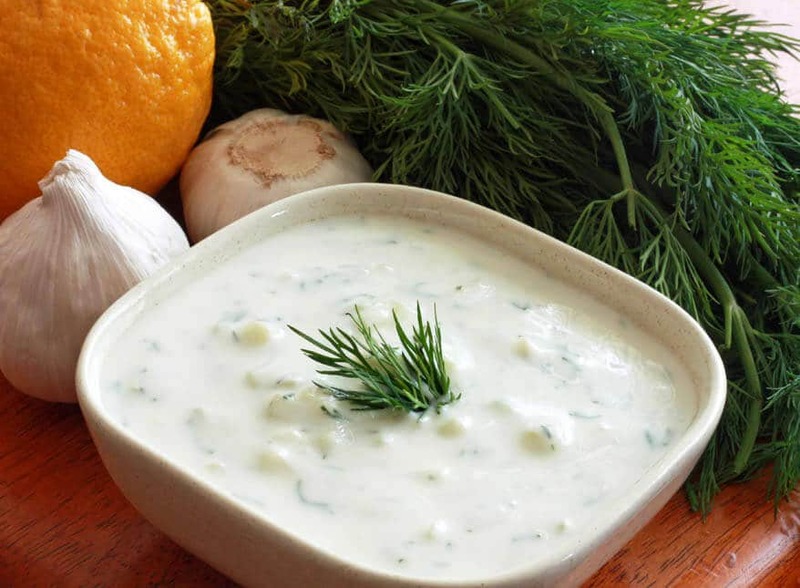 Combine all Tzatziki Sauce ingredients in a medium glass bowl and refrigerate for at least an hour before use. I can’t wait to try this, tzatziki has always seemed so exotically delightful but beyond my reach of creation. Your post un-shrouds the mystique and maybe I CAN make it. Thanks for sharing! Hi Dan! I hope you do give it a try. I’ll soon be posting a recipe that uses this tzatziki sauce and if you like Greek, you’re going to love it. Thanks for visiting! Oh my gosh! This is awesome! Thank you for sharing. You are so welcome! Hang tight for another Greek recipe coming up in the next few days that uses this tzatziki! I’ve always wanted to make tzatziki sauce and Saturday was finally the day. It went great with your greek seasoning and gyros! Thanks! 1 cup is 8 ounces. Is it 16 or 8? Hi, thanks for asking. It’s one cup, so 8 ounces. Hello! No, I’ve never had the need to drain it since I remove the seeds/inner membrane, which contain a lot of the water. Hi Erica, no, there’s no need to strain it. I’ve spent time in Crete, and spent 8 years in Berlin sampling the wonderful cuisine of the many local Greek restaurants, as well as Doner Kabobs at the many, many Turkish Imbisses. I make Tzatziki all the time, and there always is some in the Fridge. I always strain both the cucumber and the yogurt. A “small” amount of olive oil is then added. That is traditional for this dish. In addition to the ingredients already addressed, mint can be substituted for the dill, or the two can be used together, which is how I make mine. Readers might want to give it a try. Thanks for those tips, Michael! Michael, How much olive oil and mint do you add? Will make as soon as possible. Do you put sour cream in this recipe? Hi Mary-Jane, I use Greek yogurt or whole-fat regular yogurt. My grandad was 100 percent greek..i loved him beyond belief! And man he sure could cook! But when he died the cooking died with him.. And resturants are now my only resort! But the older i get.. The more i seem to really crave greek food more often.. i try my hand at different greek ingredients to see what i come up with! So I’m very thankful to see how you’ve simplified things… Very helpful! Thank-you so much! You’ve helped me recapture some of what was lost! You’re welcome, Lisa Marie, and happy cooking! Omg this is amazing. I’m thinking of adding donair or gyros to our little menu in our restaurant I’d love your feed back. Could you private message me? Hi Kari, I’m glad you enjoyed it! Feel free to shoot me an email with your question at daringgourmet at yahoo dot com. Thank you! Don’t have any fresh dill….would 1 tsp dried work? Yes, that will work, Sandra. Happy eating! I can’t wait to try this recipe along with your gyro and Greek seasoning recipes! I appreciate your way of showing how to make the food as well. It makes it very easy to follow! I am excited to receive your newsletter.